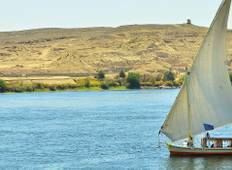 Explore a varied offer of budget adventure tours that will take you through some of the most renowned destinations such as Luxor and Aswan. Each affordable tour will provide you with memorable moments for some of the lowest prices on the market. "I couldn't recommend this trip enough, very enjoyable, good value and wonderful tour..."
"I just wanted to pass a thank you note to the tour company. The tour guide knows..."
"Overall the trip was very good! Our very first guide Mo Shabi was simply amazing!..."